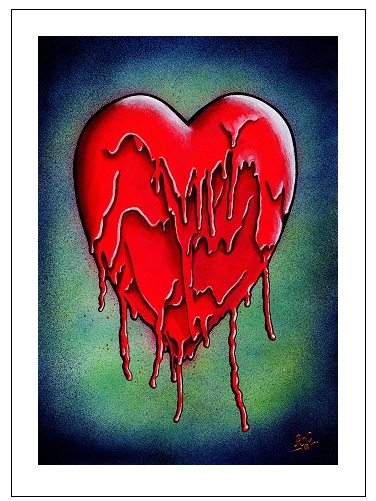 One of three paintings where I was experimenting with the concept of a melting heart by letting the paint drips run where they wanted to. This is the largest of the the three on A3. If you would like to pay in instalments this can easily be arranged just send me an email. Join my mailing list to get notified of new originals first.